T-Mobile revealed some more info about its upcoming plans to enter the streaming TV market during an earnings call earlier today. In the Q&A section of the call, T-Mobile president Mike Sievert discussed the company's two-pronged approach to the concept via both home and mobile, illuminating both the potential costs envisioned and a much more fractured, effectively build-your-own service compared to current "skinny" bundles. Sievert explained that there are two pieces to the company's future TV strategy: The Layer3-based Home service (initially expected to launch at the end of 2018, but delayed until 2019, the predecessor for which is in limited deployment in four cities) and a seemingly separate mobile strategy. He described the current market landscape as "subscription-palooza" between all the different standalone services in development by media monoliths. In that landscape, he thinks T-Mobile can do a better job with both content discovery and delivery — all at a better cost/value to the customer. The section of the earnings call which discusses T-Mobile's streaming plans. "We don't have plans to develop an nth undifferentiated skinny bundle out there, there are plenty of those. But we think there's a more nuanced role for us to play in helping you get access to the great media brands out there that you love." He further described the service as composed of "smaller pieces [costing] five, six, seven, eight dollars at a time." Sievert emphasized the problem media companies have at marketing their own separate streaming content to consumers, heavily implying that T-Mobile is choosing to provide an easier pipe for consumers to pick up these existing and upcoming services à la carte rather than building up its own bundle. Earlier in the call, Sievert explained that the mobile and home (Layer3-based) streaming services can be separate, but may end up working "in concert," as the home-based streaming service is tied more closely to the company's nascent home broadband plans. 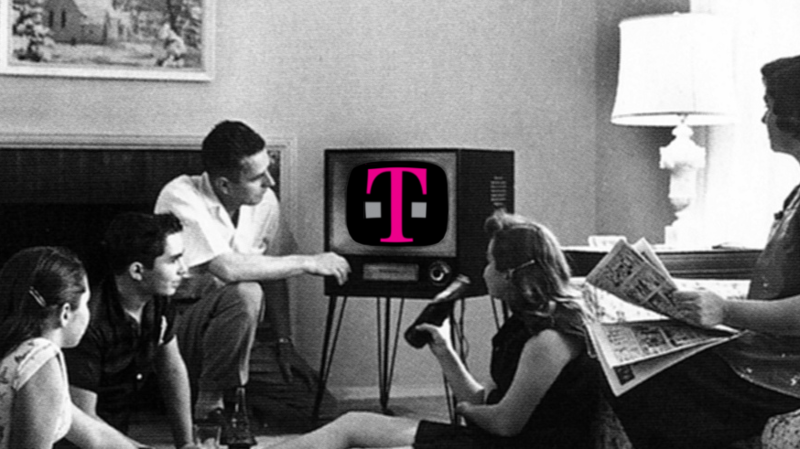 We'll have to wait and see for the final details, but it sounds like T-Mobile has changed its plans for streaming TV a bit since last year.